The independent Boundary Commission for England is conducting its sixth review of parliamentary constituencies, and has issued its first report, with its initial proposals. 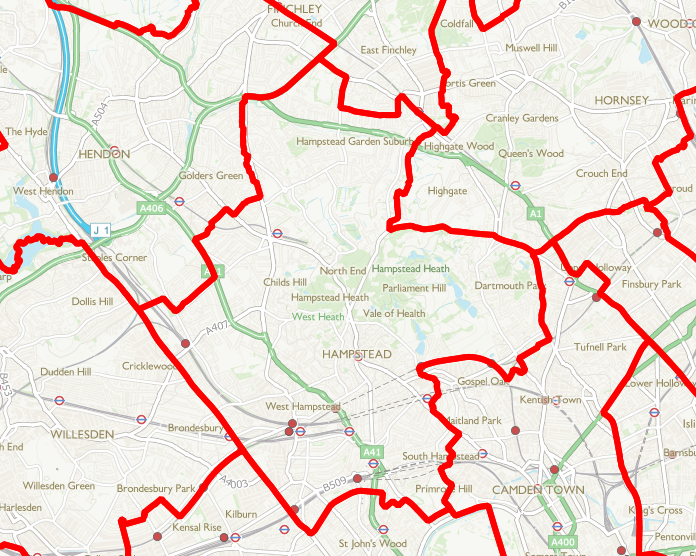 Its proposal for our area would be to create a parliamentary constituency centred on Hampstead. It’s called ‘Hampstead & Golders Green’, but actually, while it includes Childs Hill, it doesn’t include most of Golders Green or the Barnet ward called Golders Green. I think this is an excellent proposal. It unites together a coherent community – Hampstead – and creates a seat coveing all of Hampstead Heath. This means that there will be an MP in Parliament that stands up unequivocally for the residents of Hampstead – something residents regularly tell me that our MP Tulip Siddiq has not. Residents will now have a chance to respond to the proposals. The Conservative Party will state its position soon, but I am personally very pleased to see Hampstead united in a single seat.